One of the few remaining privately owned and operated theme parks, Holiday World is loaded with charm, attention to detail, incredibly courteous and friendly staff members, impeccably clean grounds, and other features that corporate parks often can't match. A family park in the truest sense of the term, the Indiana themes generally foregoes the mega-thrill rides and hyped-up atmosphere of its teen-targeting competitors for a more laid-back and gentler experience. That's not to say that Holiday World doesn't deliver great rides -- and thrills. 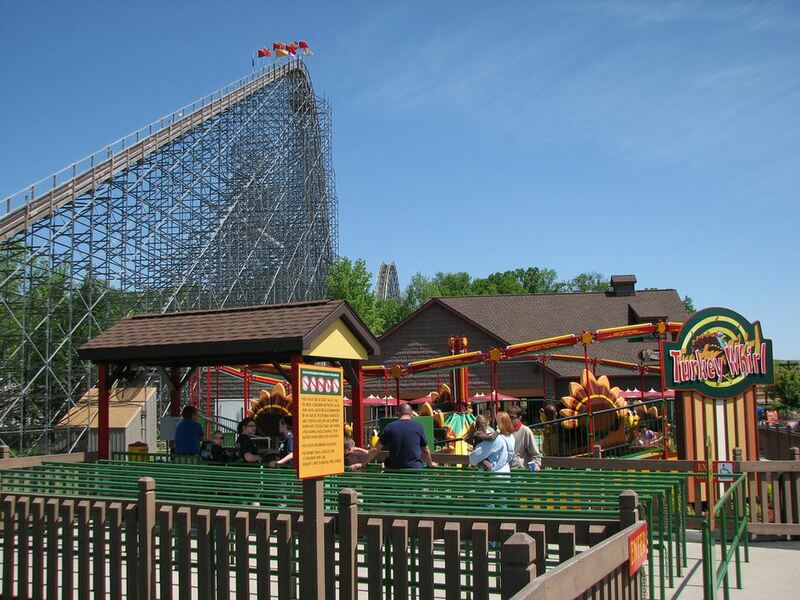 In fact, its three wooden roller coasters rank among the best in the world. In 2015, they unleashed Thunderbird, the nation's first launched wing coaster. But there is plenty for younger kids to love about the place, and lots of family-friendly perks for moms and dads to love: free parking, free entry to Splashin' Safari waterpark with park admission, free inner tubes, free sunscreen, and reasonable food prices. And everyone appreciates the park's industry-defying benefit: unlimited complimentary soft drinks. Originally a Christmas-themed park, Holiday World now includes areas themed to Halloween, Thanksgiving, and the Fourth of July as well. Kids can still sit on Santa's lap, and some of the park's original rides endure; it would be nice, however, if even more remnants from the park's 1940s origins remained to help preserve the park's authentic nostalgia. Located off the beaten path in Southern Indiana, Holiday World is well worth the trip for coaster fans, theme park lovers, and families seeking a great vacation destination. The park is open early May through mid-October. Check with Holiday World for exact operating days and hours. The physical address is 452 E. Christmas Blvd. in Santa Claus, Indiana. From I-64: Take Exit 63. Go south on Highway 162 for 7 miles, until 162 comes to a "T." Turn right and head up the hill to the park. From Bloomington: Highway 37 S to Bedford. West on U.S. 50 to Loogootee. South on U.S. 231 to Jasper, continuing south on Highway 162 through Ferdinand and into Santa Claus. When 162 comes to a "T," turn right and head up the hill to the park. From Bowling Green: William Natcher Parkway to Owensboro. Take U.S. 231 N, which will take you into Indiana. South of Chrisney, turn right (east) onto Highway 70. After approximately 7 miles, turn left (north) onto Highway 245, which will take you into Santa Claus to the park. From Chicago: Route 90 southeast to I-65 S in Indiana. Take I-465 south and west around Indianapolis. Continue on I-65 south. Take I-265 west to I-64 west to Exit 63. Turn left (south) onto Highway 162 and drive 7 miles until the road comes to a "T. Turn right and head up the hill to the park. Reduced price for children (under 54") and seniors (60+). Ages 2 and under are free. Splashin' Safari water park is included with general admission to Holiday World. Two-day passes and next-day passes available. Season passes and group rates are available. Special promotions may be available online at the park's Web site. Parking is free. RV sites, campsites, cabin rentals and RV rentals are available at the adjacent Lake Rudolph Campground & RV Resort. The campground is run by the same family that owns and operates Holiday World. Raging Rapids, with its flooded Old West town theme, is among park dom's best river raft rides. Splashin' Safari is included with general admission to Holiday World and is one of the biggest and best water parks in the industry.